Sunday, the 27th of August, marks the last day of the FIND ART exhibition - a part of the Translocal. Museum as a Toolbox project. It's the last chance to become acquainted with the exhibition, during which young people from local schools found themselves in the roles of art curators. Their unique view of the world resulted in an unusual selection of artworks, assigned to three subjects or problems: Find art, When does contemporary art become ancient?, and When will we be able to touch everything in the museum?. Each of these subjects represents questions that the young creators pose before the insitution of the museum. During the closing event young curators will not only present their collection for the last time, but also personally guide the visitors and answer their questions. 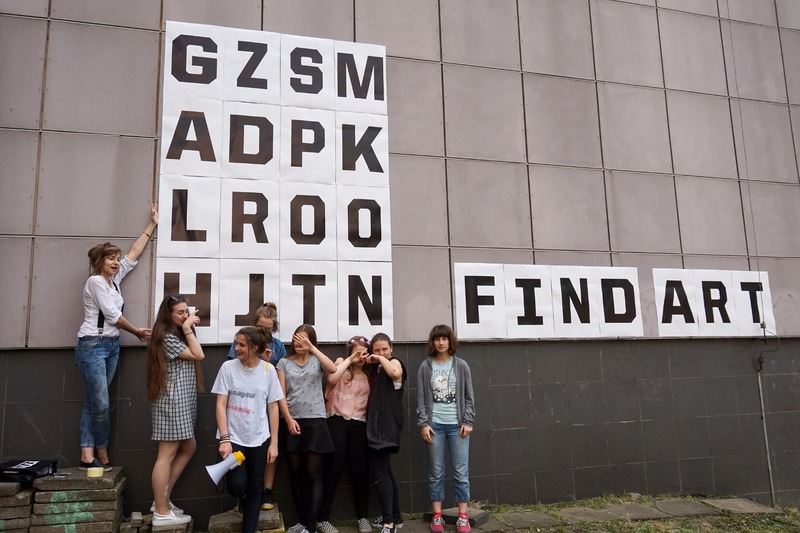 The fact that a group of teenagers, with the help from a team froim the museum, created their own curatorial concept for an exhibition, chose the works and designed the exhibition space, is not only an implementation of a new method of working in the institution, but also a chance to see the MS collection from a completely new perspective. The exhibit features artwork from the museum collection, as well as a piece by Karol Radziszewski, as requested by the participants of the project.